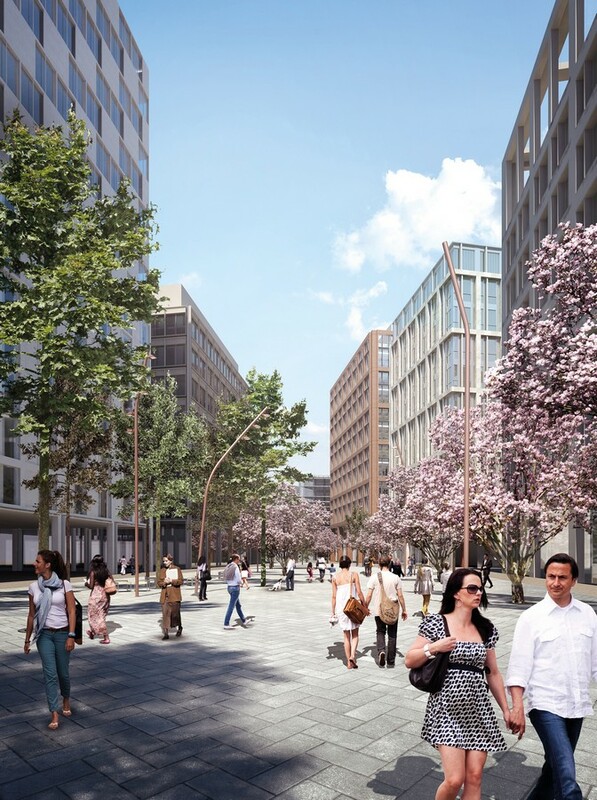 29th July 2015- Award-winning international architecture and urban design practice Allies and Morrison has been appointed to design the second building to be constructed at Friargate, Coventry’s groundbreaking £100 million city centre regeneration project. The speculative, headquarters-style office block will be the next of 25 buildings delivered in the scheme which is bringing a new commercial district to the area around Coventry train station, in addition to new public spaces and a tree lined boulevard that will provide improved, direct access to the city centre. 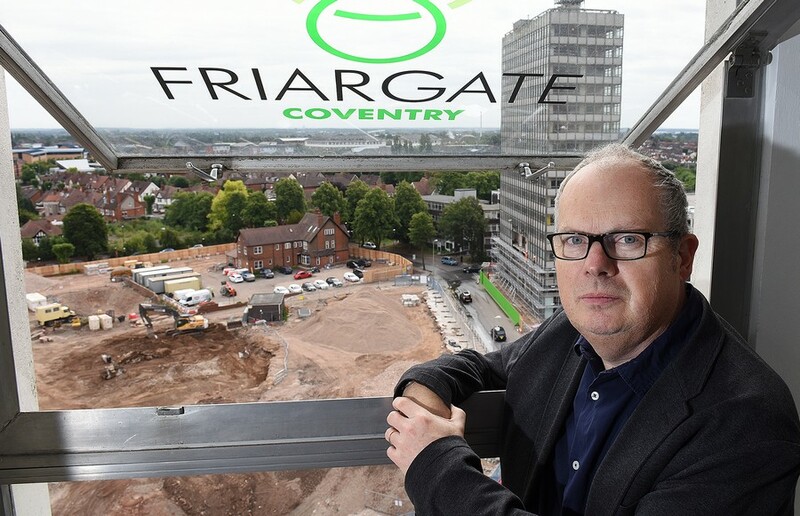 Having already designed the Friargate masterplan and the first building on the scheme – which will house Coventry City Council’s new £40 million headquarters – London-based Allies and Morrison benefits from a comprehensive understanding of the project. Stephen Reynolds, of Friargate, added: “This appointment marks another step forward in the delivery of the Friargate scheme. Allies and Morrison has been appointed thanks to the practice’s flair for high quality buildings in urban settings. 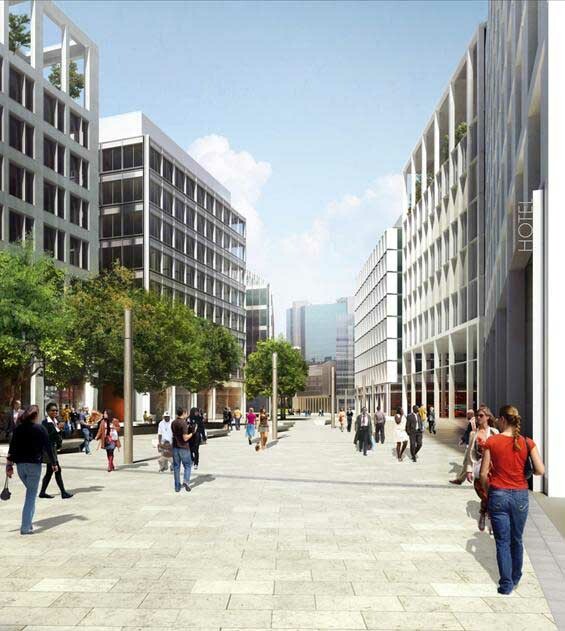 Covering 37 acres, Friargate is a 15 year project set to create 15,000 jobs. The 25 new buildings will include 14 premium standard office buildings as well as hotels, shops, restaurants and new homes that will bring the new community to life. Work is well underway on the scheme with a new bridge deck installed over the ring road, demolition of the last building underway and work beginning on the City Council headquarters within weeks. Landscape Architects, Gross Max will be responsible for the design of all public spaces, streets, squares and parks within Friargate. A competition will be held for the design of further buildings on the scheme. Friargate is a major regeneration development, being undertaken by Friargate Coventry LLP, the development vehicle for Cannon Cannon Kirk, a European property investment and development group based in Dublin. The Group has a number of trading subsidiaries, including UK housing subsidiary, Cannon Kirk Homes. Occupying a site of 15 hectares (37 acres) between Coventry railway Station and the city centre, this strategically important redevelopment will comprise a vibrant mix of commercial, civic, leisure, residential and hotel space and provide greatly enhanced public realm with major improvements to pedestrian access. This genuinely transformational project is set to provide 300,000 m2 (3,200,000 sq ft) of space over 25 efficient and sustainable buildings – including 14 Grade A office buildings, two hotels and new residential dwellings. These are set to create up to 15,000 jobs across a range of sectors. All elements of the new development will be linked by lively streets with ground floor retail, restaurant and bar units, high quality public spaces – including the expansion of Greyfriars Green – and improved pedestrian routes across the city, connecting the train station to the city centre and creating a more fitting welcome to Coventry for visitors arriving by rail. Allies and Morrison is an architecture and urban planning practice based in London. We operate from our own studios at 85 Southwark Street – the RIBA London Building of the Year 2004 – and from our new Cambridge studio overlooking the Mill Pond. We have completed projects throughout the UK, Europe, India, Africa and the Middle East. The work of the practice ranges from architecture, interior design and conservation on the one hand to masterplanning, planning, consultation and research on the other. 37 of our completed projects have won an RIBA Award and we have twice been shortlisted for the Stirling Prize – for the revitalisation of the Royal Festival Hall in 2008 and for New Court Rothschild Bank in collaboration with OMA in 2012. We were awarded the AJ120 Practice of the Year in 2015.